I am delighted to share an article that Libby Ashby from Citywire has kindly written about our ‘Screened, Themed and Engaged 2017’ event which she attended. This article was published in Citywire’s Wealth Manager magasine today (3 November 2017). Libby Ashby asks: When will ESG be fully integrated into mainstream investing? Last month I headed to the annual ‘Screened, Themed and Engaged’ event held at the Museum of London to find out the latest from the sector. 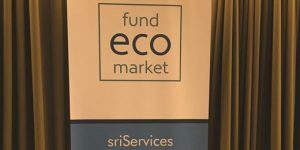 Organised and hosted by Julia Dreblow, founder of both sriServices and Fund EcoMarket, the event was part of Good Money Week, UKSIF’s (The UK Sustainable Investment and Finance Association) annual consumer-facing campaign. The appetite for this style of investing has been growing steadily over the years, but the momentum has picked up recently. 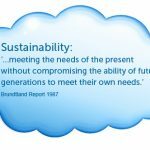 According to UKSIF’s latest research with YouGov, 57% of the 882 members of the public they asked who invest with a professional investment manager, agree in general, that investment managers have a responsibility to ensure that the companies they invest in are managed in a way that is positive for society and the environment. Some 40% tend to agree and strongly agree with the statement ‘I would like financial advisers to offer fossil free investment options as standard’. The latter is very encouraging in light of the latest figures announced earlier this week that the concentrations of CO2 in the Earth’s atmosphere surged to a record high in 2016, according to the World Meteorological Organisation. The size of the audience and the range of firms in attendance was also proof of growing demand. Quilter Cheviot, Rathbones Greenbank, King and Shaxon, Rayner Spencer Mills, Vigeo Eiris, Tribe Impact Capital and many others were all represented. ‘The investible universe is too small,’ is a phrase I have often heard from investment managers who are not ready to invest in this space yet. Yes, it is smaller, but according to research by Guy Turner from Trove Research, which he presented at the event, there are 428 sustainable funds covering a variety of themes and strategies accounting for $138 billion in assets under management. Investment performance is strong for many of these funds and more and more asset managers are launching in this area too. Another concern I regularly hear from investment managers is that this sector ‘has too broad a range of definitions’. Julia Dreblow, who has spent 25 years dedicated to working in this sector, said during her session: ‘We should be welcoming the ever increasing options for investors who want to do more with their money but still generate sound returns’. The fund houses presenting were testament to the variety of products on offer in this sector. Liontrust, Rathbones, Sarasin & Partners, Triodos Investment Management and Unicorn Asset Management were all explaining their strategies. 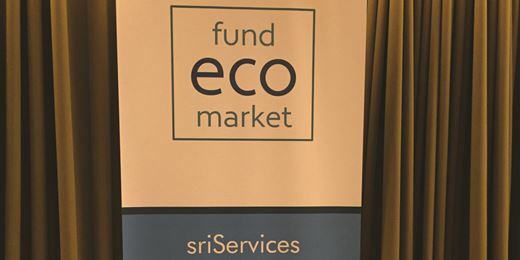 At the end of the event, Dreblow explained her research tool, Fund EcoMarket. 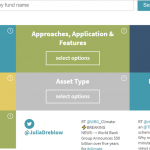 The research platform is a free to use fund manager sponsored tool that helps investment professionals to find and understand different sustainable, responsible and ethical investment options. A quick look at the website and you can see it provides a wealth of information and it is very easy to use. 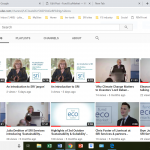 ‘Screened, Themed and Engaged,’ was an insightful and educational day and if sustainable investing is to really take off, we need a lot more of these informative events in the City calendar.